ChemWorld is a worldwide chemical supplier and a stocking equipment distributor with locations in Taylor, Michigan; Salt Lake City, Utah; and Kennesaw, Georgia. ChemWorld provides consultation at no cost on proper chemical selection and equipment needs. Our core customer base is in the USA with worldwide ordering and drop-shipping capabilities. We are a distributor of multiple grades of propylene glycol, glycerin USP, boiler chemicals, cooling water chemicals, hydrogen peroxide, and many other specialty chemicals. ChemWorld's goal is to make it easy to find and order specialty chemicals, and related feed equipment at competitive pricing. There is no minimum order size. Individuals and companies are welcome! We offer discounts for high chemical volume applications. If you need a quote for more than 5 drums, we may offer additional discounts. We can not quote the bulk order over the phone. We will need time to calculate shipping costs. For the fastest response, please email us at quotes@chemworld.com. Are you a large volume user with limited storage space? If you are a large volume user with not enough onsite storage space or fire department restrictions, you can order a full chemical truck load (70 to 80 drums) and we will stock your product in our Salt Lake City or Atlanta warehouse. After ordering we will provide you a specific ordering link. Then simply order from the link and your order will ship when requested. You own the chemical and we provide the warehousing and shipping with a mutually agreed how long the product is stocked. 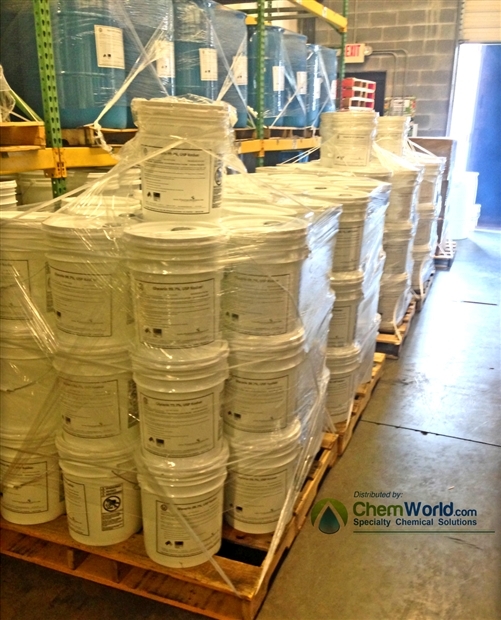 If you have OEM equipment that requires worldwide chemical support, ChemWorld can fully support drop shipping worldwide to support your after-market needs. Our E-Commerce platform provides worldwide ordering and shipping solutions. Please email us your chemical and packaging needs and we will work up a solution for you.